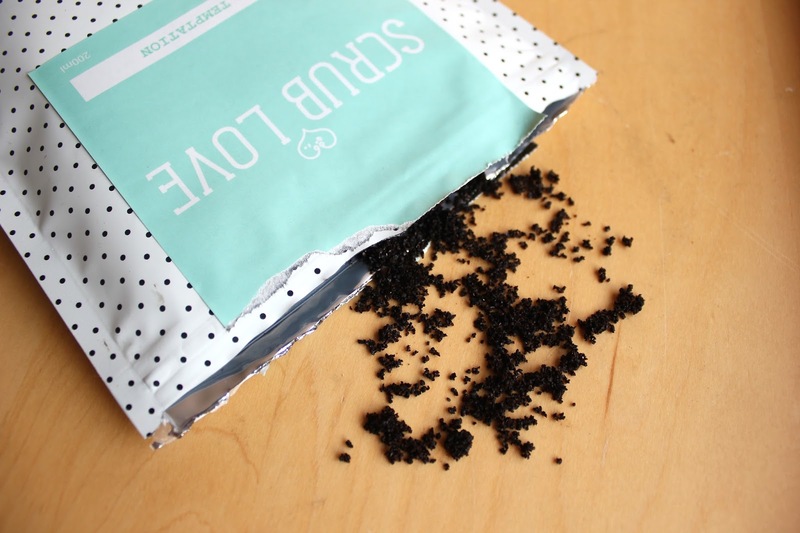 Now to be perfectly honest, my first experience with a coffee scrub was not a good one. I was sent one in a gift box and tried it out in the bath on my whole body. Long story short, it left some suspicious brown streaks on my body like I'd badly fake tanned and a huge mess in the bath that took longer to clean up than to actually have my bath *huff*. I vowed to myself that it just wasn't for me and I would never try it again. But here I am. With a coffee scrub on my skin. Again. Now before you say anything, I am no hypocrite. Honest. I promised myself I would never use coffee on my body again. 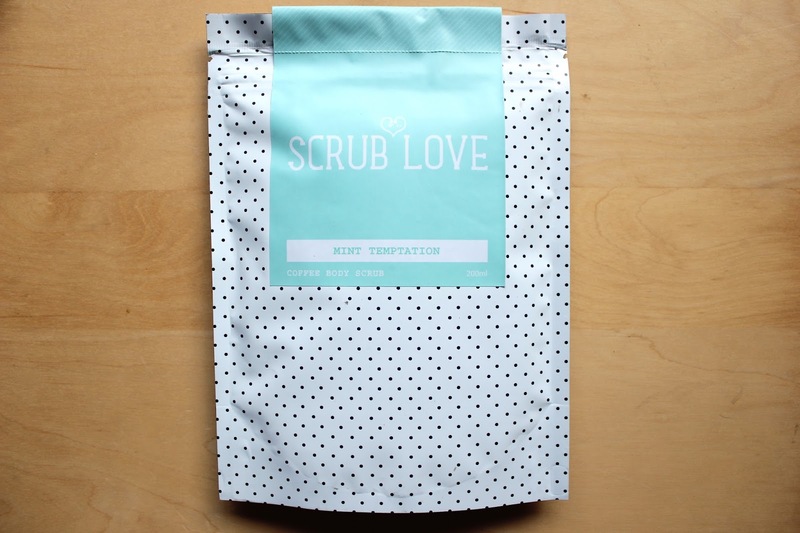 But when I was approached by Scrub Love, a scrub company whose product you can use on your face and your body, I was intrigued. So I said yes, and my little scrub turned up at my door. I knew my downfall the last time was using it in the bath, not the shower. But the consistency of that other scrub was also a lot more wet, meaning it probably would have stuck to my entire bath (and myself) regardless. So trying it on my face seemed a more gentle option, as I could take off the excess with water in the sink, and then any remaining bits in the shower. First of all, this stuff smells amazing. 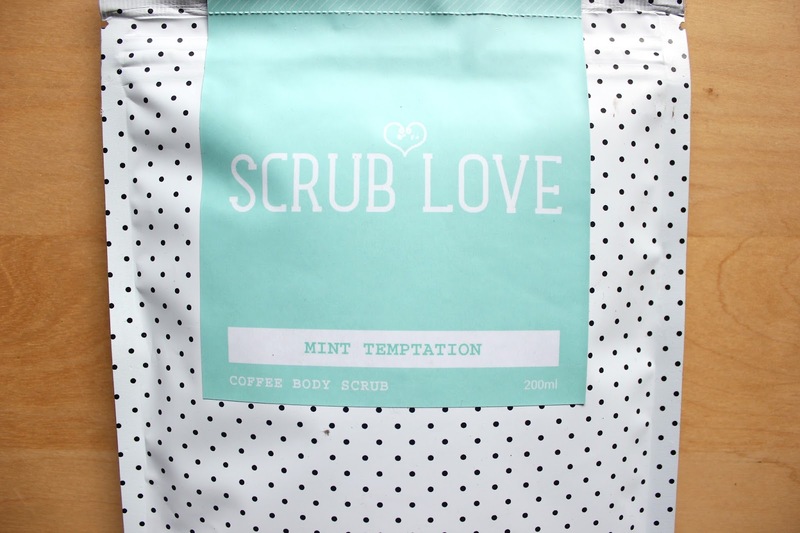 I could probably just buy all the coffee scrubs and just smell them all day every day without using them. I am a sucker for mint and this stuff reminded me a bit of an After Eight. Also, the texture is drier yet more compact, meaning when I applied it there wasn't as much fallout and excess. At first, I was quite surprised at the tingling sensation that started on my skin, but as it wasn't painful I soon got used to it. It felt like it was actually working some magic on my skin. After leaving it for a couple of minutes, I splashed some water on my face and it came off pretty easily! There was only some left on the back of my neck which was easy enough to get off when I showered. The results? I was left with beautifully soft skin that felt like it had had a pick-me-up, so this would be great to use in the morning if you have time! I can imagine it's just as great used on your body as it was on my face, but I would suggest using this every couple of days instead of every day on your face, as it could irritate it if used more often. I think I've been converted slightly back to coffee scrubs as I've found a way for them to work for me. The fact that you're putting natural ingredients on your face instead of plastic beads is great and super helpful for the environment! 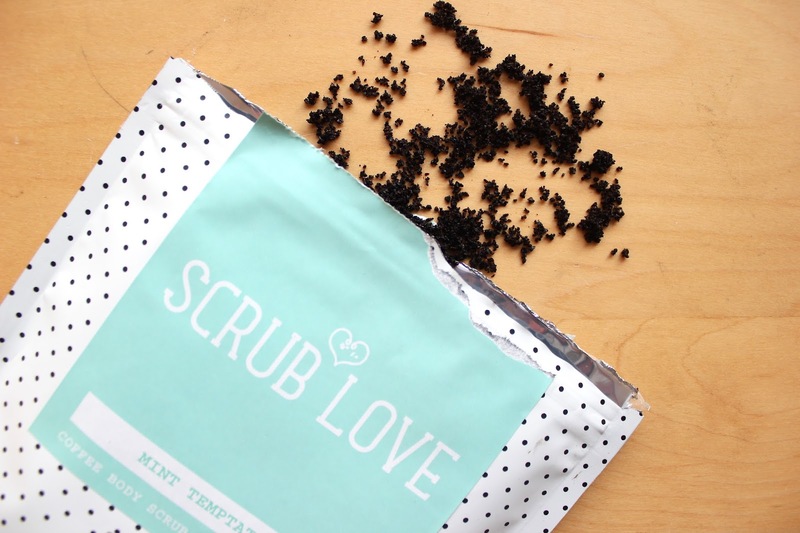 Have any of you used coffee scrubs before? What are your thoughts, and is it worth the hype? Defo....plus...how do we know u actually used it....where is the photographic evidence? !